These angels then got busy it is said, accounting for why some of the soldiers experienced a better than expected recovery. In these cases the wounds had acquired a faint blue “Angel’s Glow”. The informed reader will be quick to suspect bioluminescence, bizarre as that may seem in this setting. While this phenomenon might have been unknown to Civil War infantrymen, it was known by Aristotle to occasionally occur on damp wood. And miners contemporary to the Civil War era, in Europe and the UK at least, used bottles of fireflies or dried fish skin as a source of faint bioluminescent light, to avoid open flame lamps that might blow them up. But what was the source of the bioluminescence? Did it in fact have some medicinal property? Contemporary sources on the matter are hard to find. Modern awareness was largely confined to a few bloggers and park rangers. That is until Bill Martin, a teenager at the time, toured the Shiloh battleground and heard the story. He had two pieces of information to work with: the legend itself, and the fact that his mother was a microbiologist at the USDA Agricultural Research Service—working on a bacterium that glows in the dark. Martin recruited a friend and, with mom as mentor, explored a candidate organism that might explain the Angel’s Glow: Photorhabdus luminescens. 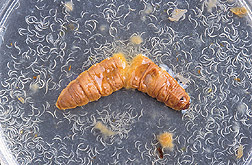 This bacterium is found in nematodes which invade and kill insect larvae—Colorado potato beetles beware! Two problems arose. One, P. luminescens does not thrive at human body temperature. But it does proliferate at lower body temperatures, such as one might find in a wounded soldier on a wet April night at the Northern latitude of 35º (Shiloh, Tennessee). 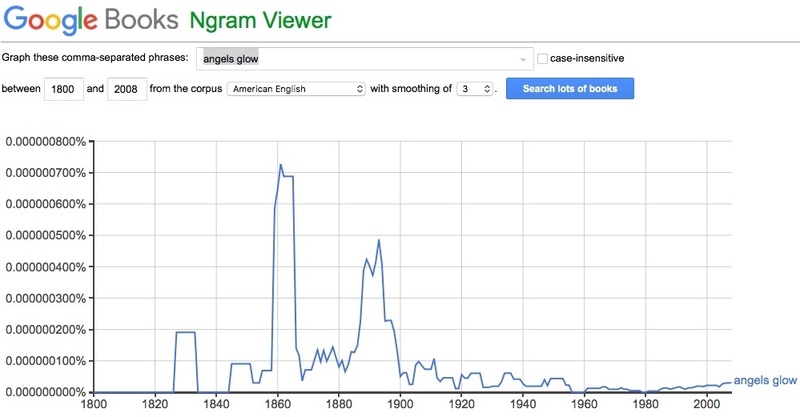 Next was the issue of putative enhancement of wound healing in the presence of the Angel’s glow. While we did not encounter any solid experimental evidence that the following is how it would have happened, one can deduce a plausible mechanism, summarized as follows. "Dr. C. Keith Wilbur takes you on a detailed and fascinating tour through the medical history of this bloody and devastating war." Glenna R. Schroeder-Lein "...this first-of-its kind encyclopedia will help all Civil War enthusiasts to better understand this amazing medical saga." The bacterium P. luminescens lives in the gut of entomopathogenic nematodes. Entomopathogenic nematodes are small ‘thread worms’ that lethally infect insect larvae. The lethality derives from its symbiotic partner, the bacterium that are expelled in vivo and in turn elaborate toxins and enzymes that kill and ‘nutrify’ the tissues the larvae. (One such toxin is produced by the gene called ‘mcf’—for ‘makes caterpillars floppy’). Furthermore, and here is the crux of the argument, P. luminescens produces in abundance an antibiotic, 3,5-dihydroxy-4-isopropylstilbene, which kills competing bacteria that would otherwise cause putrefaction. And P. luminescens, true to its name, is bioluminescent. The students research won a prize at the 2001 International Science and Engineering Fair and was featured on web sites ranging from Ripley’s Believe it or Not, Civil War history sites and the USDA and AAAS news pages. It is not known why P. luminescens glows in the dark, nor why such carnage visited Shiloh—which means “Peace” in Hebrew. You can check out books on the history of medicine at our Amazon link.